Hello to all of you budding writing wizards – and witches! If you like to write stories, then this is the place for you. We have lots of hints and tips for making your stories sparkle. 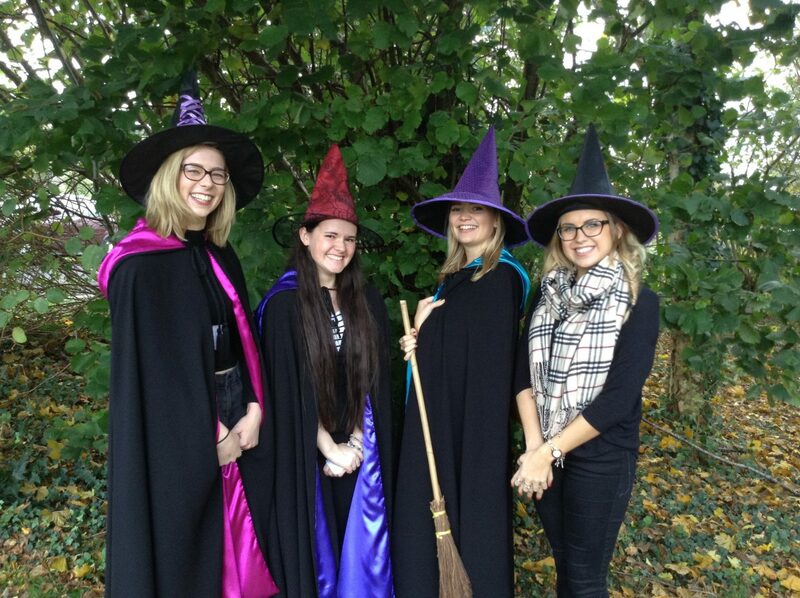 Meet our new Writing Witches – as they spread their story writing magic! Grab your paper and pen! Our writing witches are back on their brooms flying around local Bournemouth schools and sharing their writing secrets and SPELLS! Their magic has been inspiring many children, from years 3 to 5, to create and conjure up their own magical stories for our writing wizardry competition. If that sounds devilishly delightful, get your parents and teachers to check out our schools page for more information on our wickedly witchy writing workshops! Watch: Writing Wizardry judge Maz Evans talks about her new book! We are delighted to announce that Maz Evans, the fabulous author of Who Let The Gods Out?! (published in February 2017), is the judge of this year’s Writing Wizardry Awards and will be presenting the prizes at the awards ceremony on May 11th. You can get a little taster of Maz’s book in her video here. To enter the competition, go here and to follow Maz on Twitter, click here! Our Writing Witches like nothing better than to visit schools and share their story-writing SPELLS with children in years 3, 4 or 5. 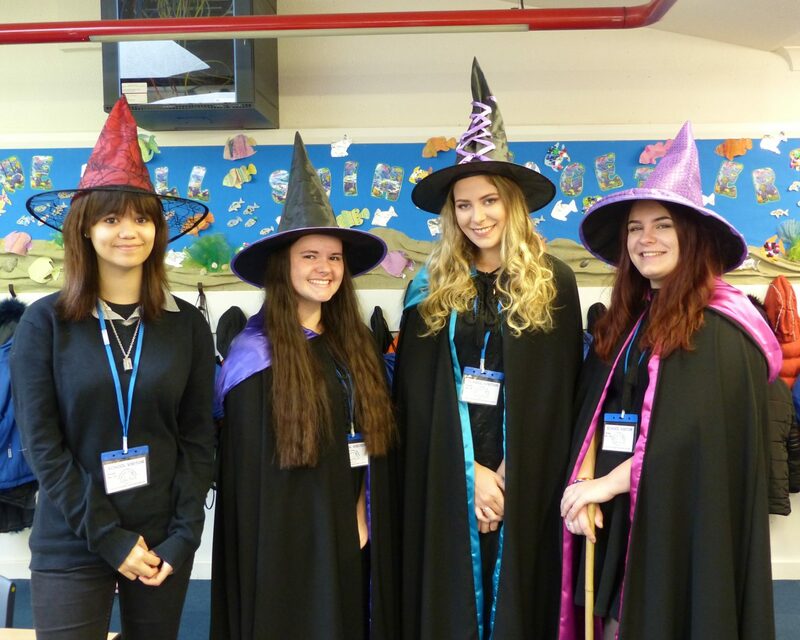 Armed with a cauldron and a wand or two, the Writing Witches will come to your class and tell you all the secret ingredients you need to write truly magical stories. Expect potions for prose, chants for confidence and spells that are NOTHING to do with spelling (well, not much)!If that sounds like fun, why not mention it to your teacher or parents and ask them to look at this website. We have a special Schools page for them to look at to find out more.